Rishabh Pant became the fourth youngest triple centurion in first class cricket. Swapnil Gugale (Maharashtra) - On a flat batting deck at Wankhede Stadium, Gugale, skipper of Maharashtra elected to bat against Delhi. After losing a couple of wickets in the first 10 overs, Gugale, who came in as opener joined hands with Ankit Bawne to make sure that no other wicket fell during the next 164.5 overs. The 25 year-old right hand batsman finished Day 1 on 152* and eventually scored 351* in 521 balls. The marathon knock consisted of 37 fours and five sixes. At declaration, the duo was short of 30 runs to break the record of highest partnership in first-class cricket. 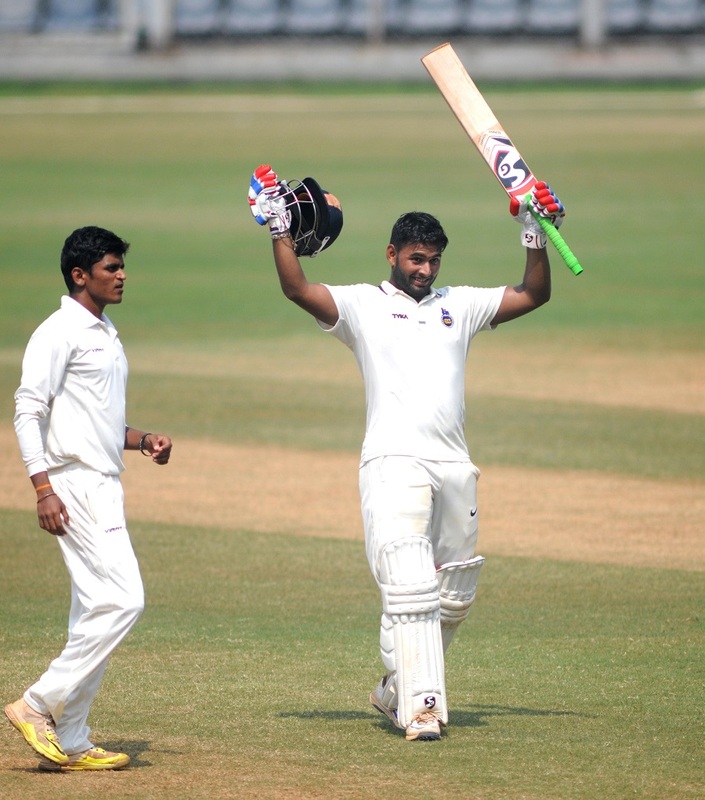 Rishabh Pant (Delhi) - To add to Maharashtra's run feast at Wankhede was Rishabh Pant's sparkling efforts which came on the next two days of the match. The 19-year old left-hand wicket-keeper batsman smashed runs at a strike rate close to 100 and ended Day 3 on 155*. The next morning, he raised his double and then the triple century. By the time he got out, he had already put 308 runs in front of his name. The 326-ball innings consisted of 42 fours and nine sixes. Sagun Kamat (Goa) - This 33-year old left hand batsman who made his debut 16 years ago reached the magical figure in Cuttack against Services. Soumik Chatterjee, captain of Services won the toss and put Goa to bat. Kamat, who came in at No. 3, faced 453 deliveries for his 304* which saw the ball reaching the fence 39 times. Goa went on to post 606-6 dec. in 165 overs. The match ended in a draw but Goa gained extra pointson the basis of first innings lead. Priyank Panchal (Gujarat) - With 1,120 runs in eight matches at an average of 101.81, the 26 year-old right hand batsman is by far the highest run-scorer in this season of Ranji Trophy. 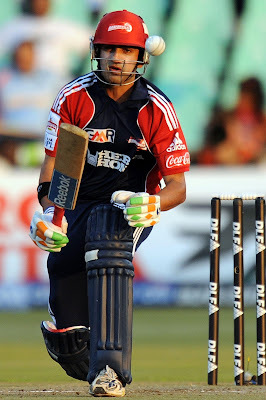 His best came vs Punjab at Belagavi, when after put in to bat by Gurkeerat Singh Mann, he scored 314 off 460 balls. His runs came at a strike rate of 68.26 and consisted of 32 boundaries. With Gujarat in the Semi-final, Panchal has a chance to break VVS Laxman's record of highest runs in a season (1,415). To score 295 runs in two matches is certainly a big task, but with the kind of form he is in, you never really know! Samit Gohel (Gujarat) - Before this season, no Gujarat batsmen had ever scored a triple century. Now, they have two. 26-year old Samit Gohel being the second one. His moment came vs Odisha in the 3rd Quarter-final. After failing in the first innings, Gohel made the highest score of the season in the second. His ginormous 359* run knock came off 723 balls and consisted of 45 fours and a lone six. The fact that he spent 924 minutes at the crease made it the 3rd longest innings (minutes wise) in first-class cricket. It was also the highest score while carrying the bat in first-class cricket.